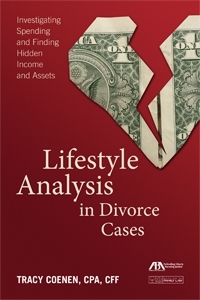 Lifestyle Analysis in Divorce Cases: Investigating Spending and Finding Hidden Income and Assets is published by the American Bar Association. 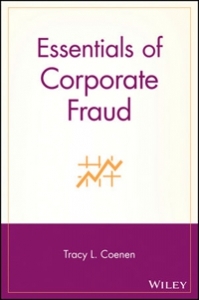 It is the only book available on the topic of lifestyle analysis in divorce cases. While there are plenty of excellent books on financial issues in divorce, none of the other books focuses on the lifestyle analysis, how it is done, and how the results may be used in court. 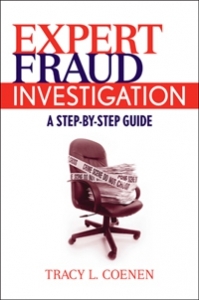 Making a difficult undertaking more manageable, this essential book arms you with the tools to take your organization step by step through the process of an effective fraud investigation.